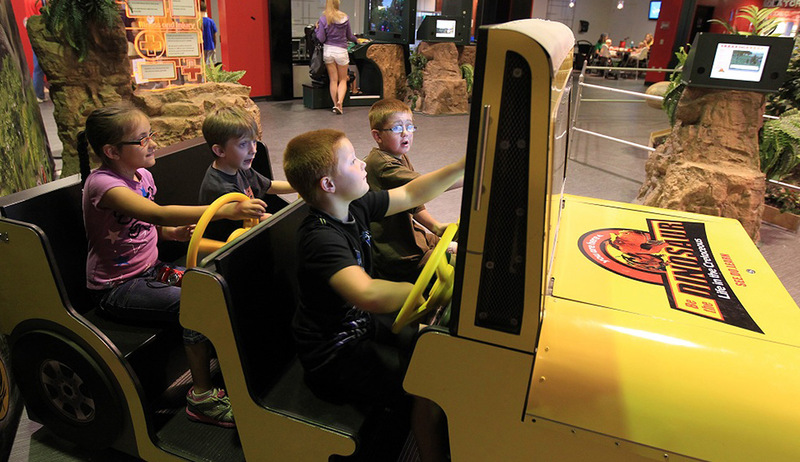 Find out what it's like to be a dinosaur at this new interactive exhibition, a groundbreaking fusion of state-of-the-art video game technology and traditional exhibits, featuring full-size replica dinosaur bones, a paleontology field station, a safari jeep and more. Visitors of all ages can enter into the largest and most complex restoration of an extinct ecosystem ever created. This first-of-its-kind exhibit, combining traditional exhibit elements with sophisticated computer simulation, was developed by an expert advisory panel from the fields of paleontology and related disciplines to ensure high value educational content. 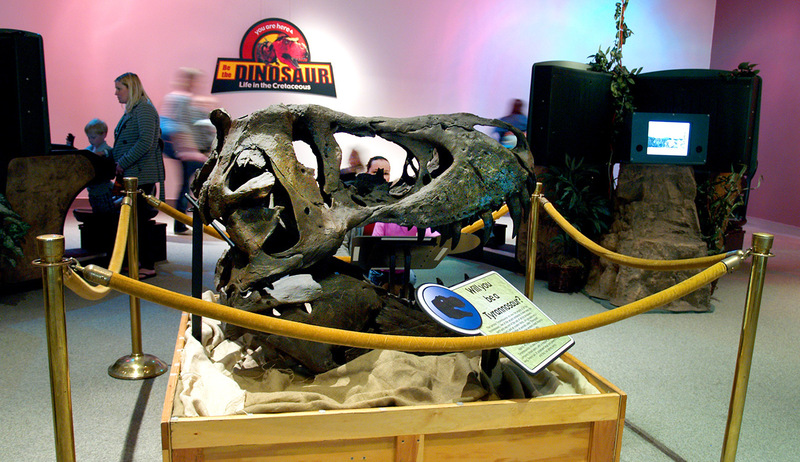 It was built from the ground-up to focus on what it is that you and your children most wanted to know about dinosaurs — What did a dinosaur do all day? What was it like to be one? The simulation at the core of this exhibit is, to-date, the most complex simulation of dinosaurs and their world ever created. 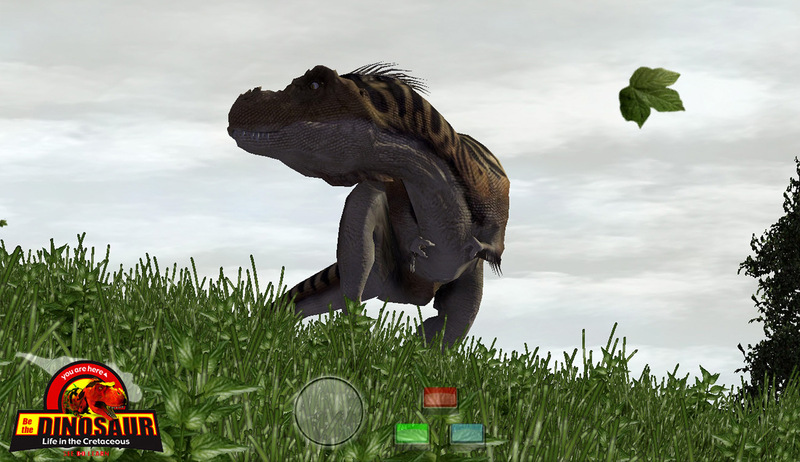 For the first time, artificially intelligent dinosaurs roam across realistic terrain. The dinosaurs have simulated muscle and digestive systems. Virtual winds circulate digital odors. Plants grow and have accurate nutritional values. 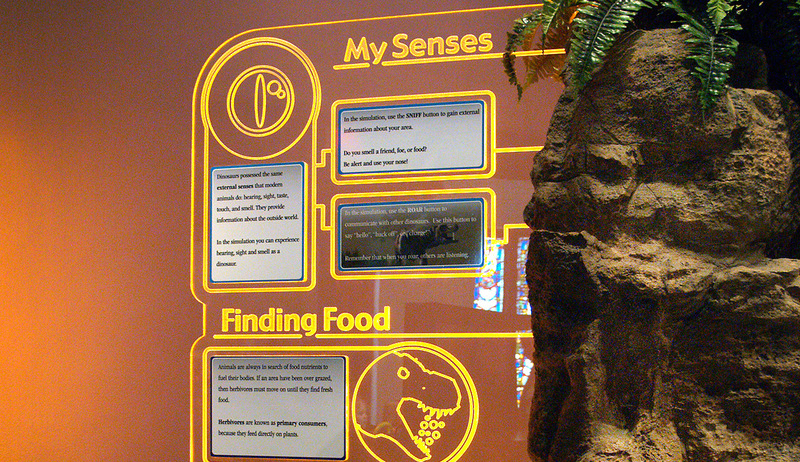 You'll "dig" through other exhibit components to unlock the secrets of how dinosaurs survived, and thrived. 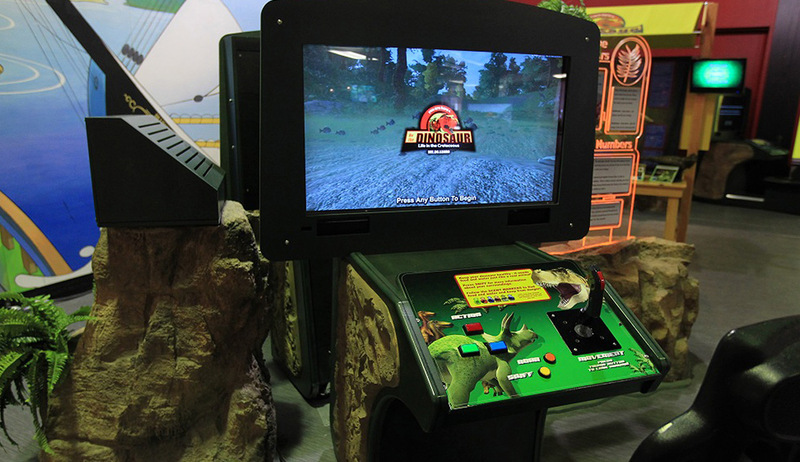 Be the Dinosaur™ is circulated by Eureka Exhibits, LLC.